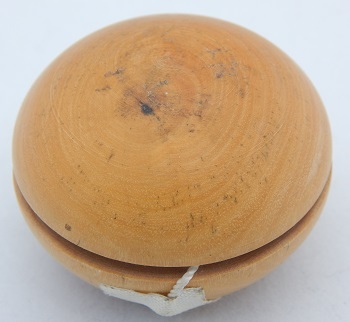 A yo-yo gift entirely hand-carved from a single piece of wood (unknown species) by a gentleman friend in Haiti. Includes the original nylon string with the end still taped to the side. Sadly, the friend died 20 years later in the January 12, 2010 Haiti earthquake.